A great fatherhood blogger, Tyler at Building Camelot, has started a project called “Pictures of Life With Kids: Parenting Behind the Scenes.” I think it is a great idea, and this post is my contribution. 1. The photos should showcase anything that relates to you children or relates to life with children. 2. The photos cannot contain any live faces (but photos with pictures of faces are allowed). 3. Post the pictures on your site. 4. Link the post back to Building Camelot so that entries can be tracked and that others can read about the project. This first photo shows our daughter in her sling. This is everyday life with a baby for us, because we use our sling to take our daughter nearly everywhere we go with her. In this photo, she is not fully wrapped, but taking a break to have a drink. 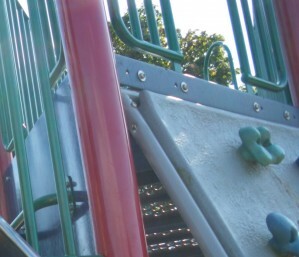 This photo is a snapshot of part of a climbing wall at a playground that we often go to. Life with kids means frequent trips to the playground! Smarty Pants loves to play there and climb up and over everything in sight. What would life with kids be without taking them out to fly a kite? This is something we started doing since we have had kids, and Smarty Pants loves it. 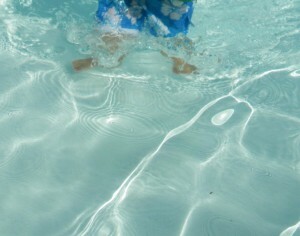 Life with kids in the summer means going to the swimming pool on hot days. When you have kids, you often find yourself sitting in the shallow water, as in this image, rather than swimming around or diving in the deep end. 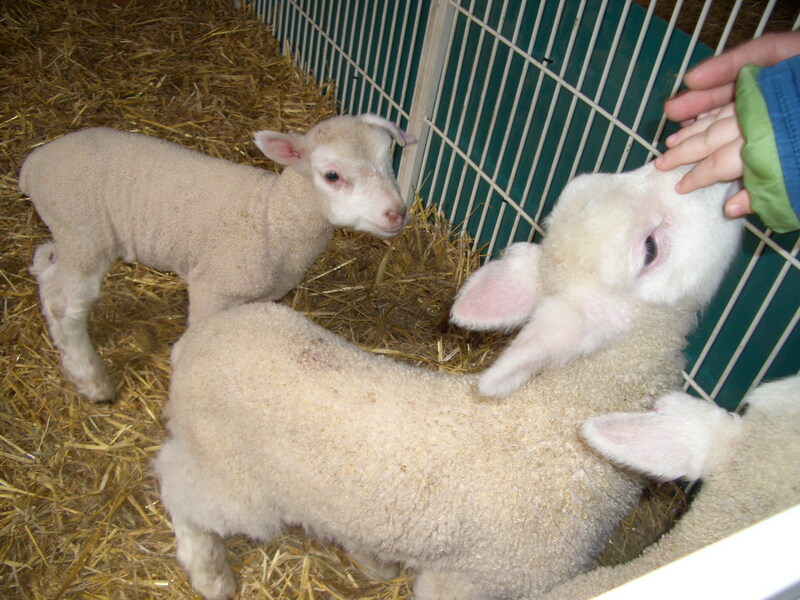 The petting zoo is a popular place for kids, and life with kids wouldn’t be complete without a visit to the petting zoo and petting some baby lambs. There you have it! I hope you enjoyed my entry in this project, and encourage you to check out the project and create your own entry as well. 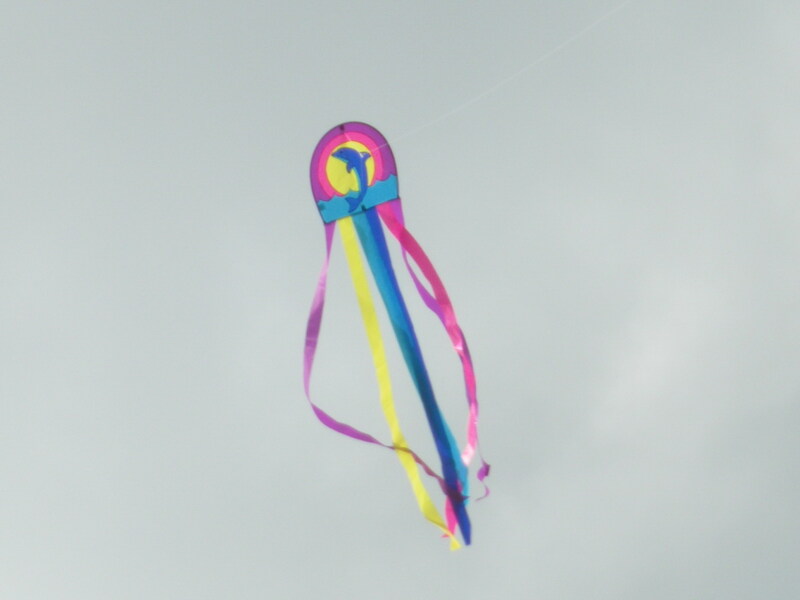 Feel free to leave a comment and share your own special ideas about life with kids! These are perfect! And yes, you can have animal faces in your pictures. I’m excited that you participated and it’s great to see how children have influenced your daily life. Isn’t it great that you have those pictures since they are all part of your life as a parent? Thanks Tyler, happy to participate, it was a fun challenge, and will be taking more for sure. It really is great to have a visual record of our life as a parent. Thanks for creating this project!